Low thyroid function affects up to 40% of the population and is commonly under-diagnosed. Most medical practitioners rely on lab values, but hypothyroidism is a clinical diagnosis based on symptoms. 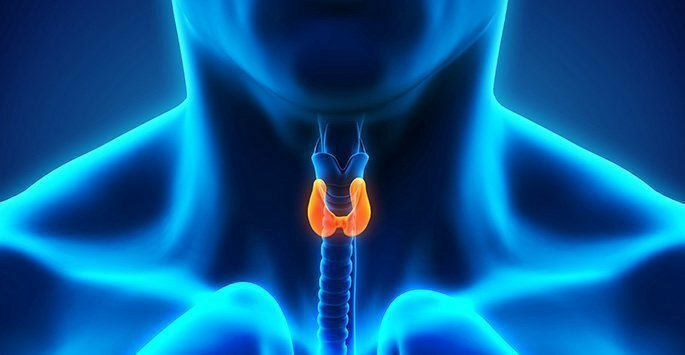 In 2002, the Society of Endocrinologists purported that the lab ranges testing thyroid levels were actually incorrect and hypothyroidism was being under diagnosed. Hypothyroidism can lead to decreased bone density, obesity, increased cholesterol, depression, fatigue, weight gain, constipation, hair loss, low energy, sexual dysfunction and other symptoms. It is important to get at least a TSH, Free T3 and Free T4 when evaluating for hypothyroidism. Additionally, reverse-T3, anti-thyroglobulin, and anti-TPO studies are sometimes necessary to fully evaluate thyroid disorders. In addition, patients suffering from adrenal fatigue (cortisol imbalance issues) will suffer symptoms of thyroid disease. In fact, thyroid disorders cannot be corrected if the adrenal glands are not also functioning properly. Much of the thyroid hormone secreted by the thyroid gland is in T4 form. T4, a major hormone needed to control basal metabolic rate, increases enzyme secretions and is connected to cell energy production. T4 is converted to T3, the active hormone. Often, the conversion of T4 to T3 does not occur optimally due to epigenetic variations in people, iodine insufficiency, medication interactions, and other issues. Thyroid hormone supplementation, an inexpensive simple process, restores T3 and T4 cells to their natural ratio and blood concentrations. Unfortunately, the commonly prescribed Synthroid is only T4, and incompletely treats thyroid dysfunction.